The challenge was to create a website that would communicate its services, values and principles. 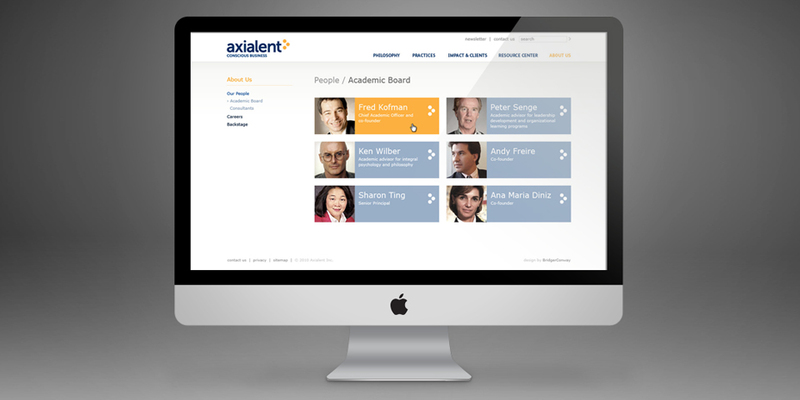 Axialent is a consultancy that helps companies to achieve their objectives. As its business model is focused on a very exclusive market niche, its website needed a friendly and simple design. 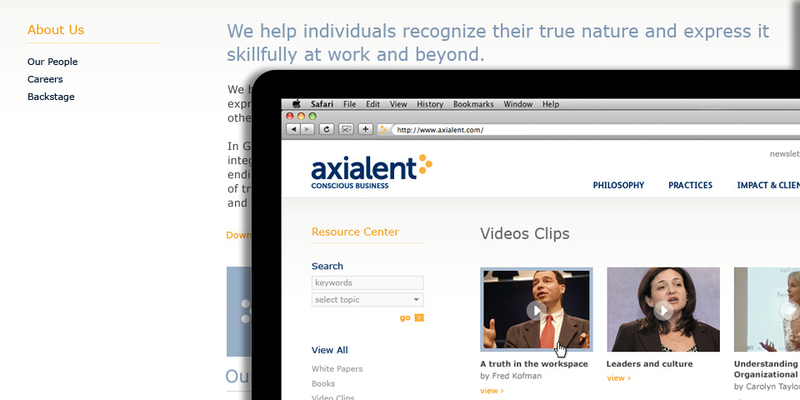 The challenge was to create a website that would communicate its services, values and principles. At the same time, it had to be a communication channel that could be updated continually and could contain all the company resources. Our Digital Division designed a website with a modern architecture and developed a CMS –Content Management System, which allowed the company to keep 90 percent updates of its website.